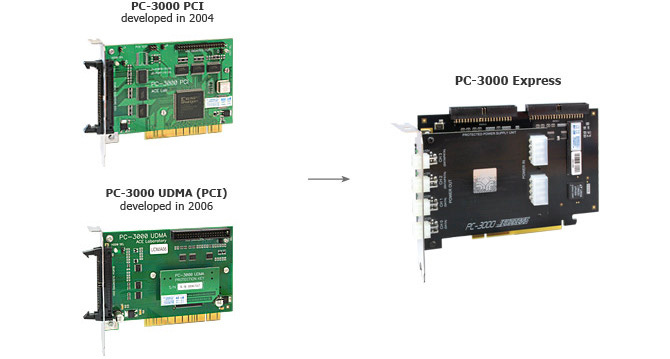 Thousands of the latest generation PC-3000 boards are already in use by the data recovery engineers worldwide, and they are unanimous that these newest products have significantly helped them to increase their success rate in data recovery. The latest PC-3000 = the greatest opportunities for your business! Hurry up to get the latest generation of the PC-3000 Technologies for your data recovery companies at the special lower prices! 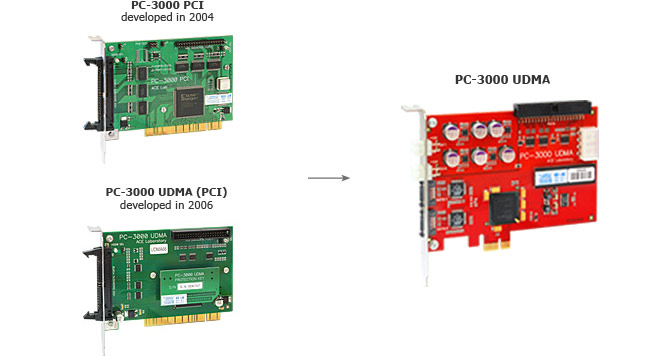 The Upgrade Program for the owners of the old PC-3000 UDMA, PC-3000 PCI and PC-3000 for SCSI boards will expire in 6 months. If you have an active Technical Support subscription for the old PC-3000, it will remain valid for the new PC-3000. Starting from the 1st of January 2016, the software updates will be available only for the latest generation of the PC-3000: PC-3000 Express, PC-3000 UDMA-E, PC-3000 SAS, PC-3000 SSD, PC-3000 Flash, PC-3000 Portable. The Upgrade Program is valid till the 31st of December 2015! To replace your old products with the newest ones at a special price, please submit a form or contact your personal sales representative.